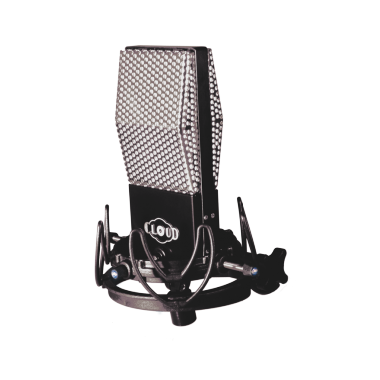 From direct RCA lineage, the Cloud 44-A microphone reawakens the spirit of the classic RCA Type 44 ribbon mic for today's applications. Internally within the Cloud 44-A, the ribbon itself remains unchanged, handcrafted to specifications first prescribed in the 1930s by RCA's Harry F. Olson. Everything else has been engineered anew, however, using 21st century improvements transcending the capabilities of Olson's time. 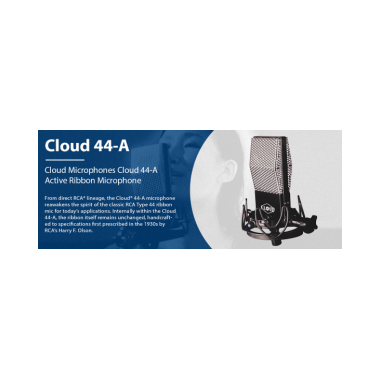 Utilizing Cloud?s award-winning, patented Cloudlifter circuitry with its unique features and ultra-clean characteristics, the 44-A is an active ribbon mic with personality from the past plus all the strength and clarity required for today's most demanding tasks. 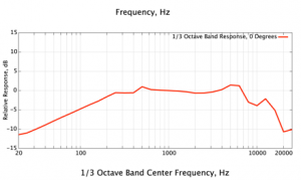 the Voice setting to instantly reduce the large bass proximity effect associated with being close to the microphone. 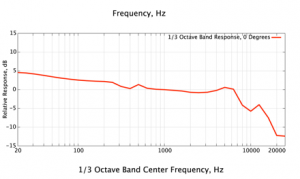 The voice position can also be useful for reducing intense low frequencies when using the mic to capture an instrument at close range, or where they may be rumble or vibration noise present. 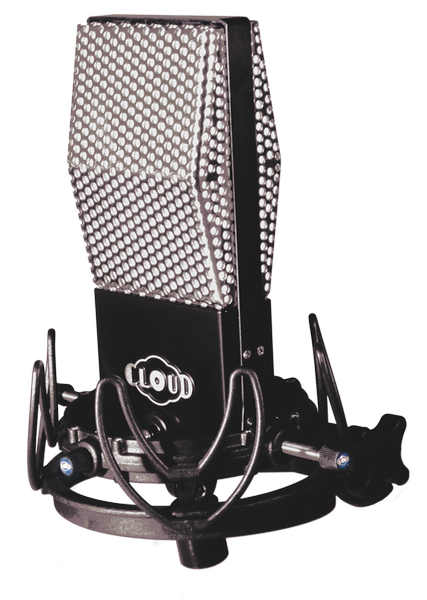 Of course, some vocalists will prefer the larger bass response at close proximity, so having the switchable interface affords the user a microphone with two distinct voices, inviting the special sound of a ribbon microphone to be used on a variety of new sources that may not have otherwise be desirable. 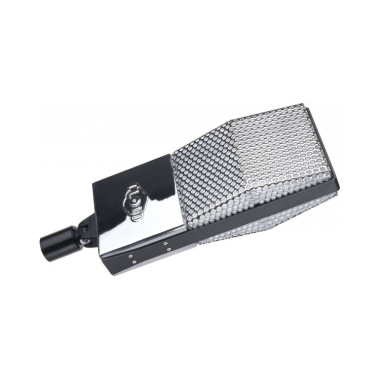 The Cloud 44-A requires phantom power and has an output level compatible with virtually any modern preamp. 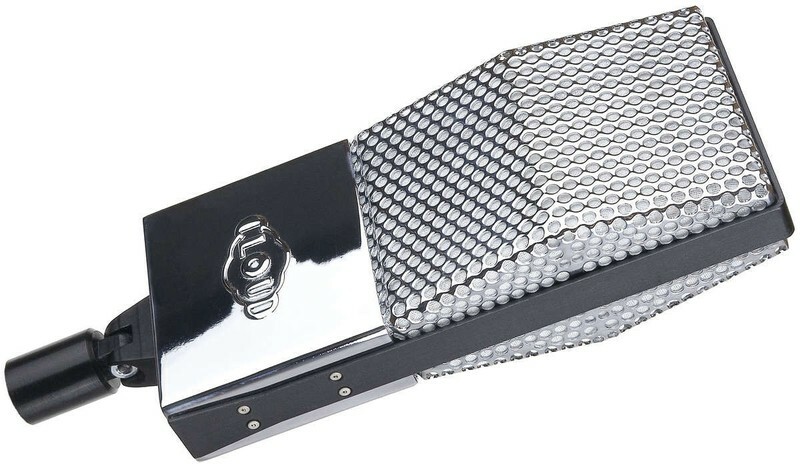 Included is the Cloud U1 shockmount, a beautiful handcrafted wooden box and a microfiber mic cover, designed to properly store and clean the microphone.